Welcome to my studio. I’m Dr. Scatliff, artist, researcher, and creative thinker. I develop creative projects and collaborations about the latest innovations in learning both in and outside of traditional schooling. Whether you are in school or not, it is important to take control of your learning. Emerging disciplines like positive psychology, user design/design-thinking, brain-based education, entrepreneurial practices, and open source education have much to offer when designing your own system for a lifetime of successful learning. 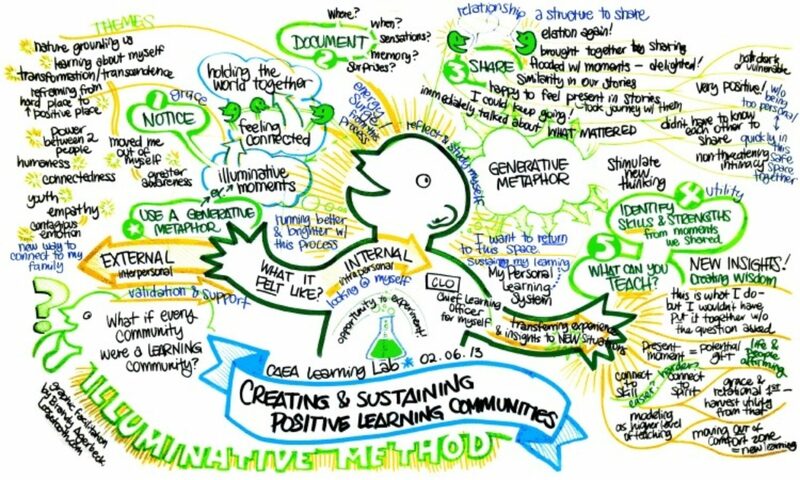 On this site, you’ll see a developmental model, Illuminative Model for Networked Learning, which I developed after 12 years of conducting interviews, research and designing community learning projects with a variety of collaborators. The model guides learners in designing their own learning systems based on their strengths, interests, and informal networks. The Illuminative Method shows seven-steps for learning design that supports this model. 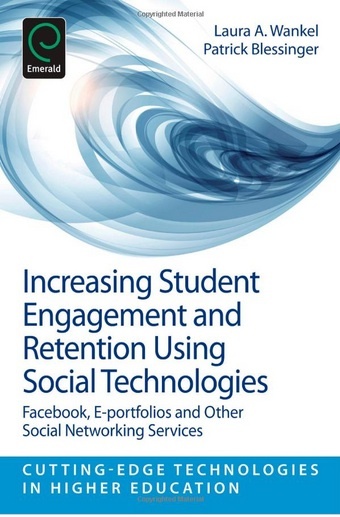 The model has been published in Increasing Student Engagement and Retention using Social Technologies: Facebook, e-portfolios and other Social Networking Services, Bingley, UK: Emerald Publishing Group. It has also been presented at Columbia College (Chicago), DePaul School for New Learning, Association for Continuing Higher Education (ACHE), ACM Creativity and Cognition Conference, UC Berkeley, Berkeley, CA, Jossey-Bass Online Teaching and Learning Conference, Collaborative Innovation Networks (COINS), sponsored by Savannah College of Art and Design, MIT Center for Collective Intelligence, National Learning Disability Association (LDA), Adult Education Association (NCAEA). For a consultation, please feel free to contact me for further information at info@alearningstudio.com or at 215.828.7007. Learner Self-management: Going over the tools and methods that invite learners to become more effective in self-management. Topics such as time and setting priorities, physical self-care, cognitive (working memory) training and maintenance, and creating affordable social and practical skills training. Personal Learning System Design: Working with learners to build in new resources and to create their own “micro-coaching” opportunities with professionals, colleagues, and peers. Setting up mastermind groups where peers learn to track, identify and find solutions to challenges by first focusing on their strengths. Creating and collaborating from strengths-based portfolios. Finding free or affordable training through open source education and other informal learning avenues. Latest Research: Innovative ideas coming from the fields of Positive Psychology and Cognitive research, open source education, and peer learning. New concepts in moving away from deficit-based interventions toward adopting and integrating strength-based approaches. To discuss creating a workshop or to set up an individual consultation, please contact me at info@alearningstudio.com. In partnership with Dr. Andrea Meier of Flourish! Personal Coaching, collaborator, Kim Williams and I run small group educational pilots testing new tools, services and learning approaches for students. Taking part is a great (and free!) way to test new services that could improve learners’ performance in school and life. If you, or learners from your university or organization, would like to take part in a pilot study or if you would like to discuss the design of a specific pilot test for a particular tool, method or service for your learner audience, please contact me for more information. The following are a sampling of people from various fields that have collaborated with me on educational research pilots, courses, and events. Kinji Akagawa, Sculptor, Faculty, Director Institute for Public Art and Design: Kinji Akagawa is a sculptor and public artist who has works at the Weisman Art Museum and The Walker Art Center in Minneapolis. He is a professor of Fine Arts and Critical Studies at the Minneapolis College of Art and Design (MCAD). He has an MFA from the University of Minnesota and a BFA from MCAD. He was the co-director of The Institute for Public Art and Design. Read here on the Walker Museum Blog about Kinji. Bee Bleedorn, Mentor: Dr. Berenice “Bee” Bleedorn was an educator and consultant. 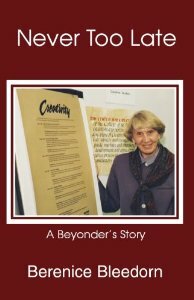 She founded the Institute for Creative Studies at the University of St. Thomas in St. Paul, Minnesota, where she developed courses on creativity in business, education and futures studies. Bleedorn was a Creative Education Foundation Colleague and received CEF’s Leadership Service and Commitment Award and the Distinguished Leader Award. See: Creativity Force in Education, An Education Track for Creativity and Other Quality Thinking Processes, Never Too Late. Alison Cutlan, Instructor, Aroma Therapist, The Relaxation Day: Alison previously worked in product development as an aromatherapist at The Thymes Limited, a bath and body company in Minneapolis. She is currently studying fashion design at the Fashion Institute of Technology (FIT) in New York City. Misia Denea, Yoga is Instrumental, Instructor: is the winner of the Leeway Foundation Transformation Award. The Transformation Award gives $15,000 to artists who have been creating art and social change for the past five years or more. She is a graduate of Dhyana Yoga’s 200-hour Teacher training program. Misia has traveled to Dangriga, Belize to teach dance and yoga workshops to youth and adults. She has a background in hip hop, African and modern dance and uses these techniques to shape her yoga practice with a focus on offering classes to people of all backgrounds, genders and socioeconomic brackets. Her class is sure to build your fire and center your mind fluctuations. Darlene DeVore, Yoga is Instrumental, Instructor: was first introduced to yogic breathing technique and moderate postures in 2001, while receiving training in massage therapy. She has had a lifelong affinity for the body and the anatomy of movement. An intuitive bodyworker for more than six years received her yoga teacher training certification in 2005. Her current work as a freelance massage therapist and basic vinyasa yoga instructor is an ongoing balance between being a wife and mother. Darlene desires to make yoga and therapeutic bodywork and overall wellness accessible to all demographics. Her inquisitive, investigative nature inspires her continued study and experimentation with focusing the mind and body on the same verb, mindfully. 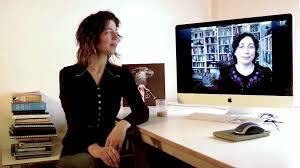 Julie Dirksen, Adjunct Faculty, Minneapolis College of Art and Design: Julie Dirksen is an instructional designer, independent consultant and author of Design for How People Learn. Formerly, Julie was a Senior Producer of web and computer-based training for Allen Interactions and has led many e-learning projects for clients such as Delta Air Lines, DaimlerChrysler, Aetna, Corning, etc. Julie holds an M.S. degree in Instructional Systems Technology from Indiana University, with an emphasis on Human-Computer Interaction. She was also adjunct faculty at the Minneapolis College of Art and Design, teaching courses in Project Management and Instructional Design. Yolanda Gayol, Doctoral Advisor, Fielding Graduate University/Faculty, Critical Pedagogy in Second Life/Advisor, Illuminative Systems: Yolanda Gayol has a doctoral degree in adult/distance education at the Pennsylvania State University. She is Graduate Faculty Mentor at Fielding Graduate University. She has worked as distance education specialist at NASA, the World Bank, the Inter-American Development Bank, Athabasca University, the University of Maryland University College and ICMA/USAID. She has vast experience as an international consultant in Europe and Latin America. 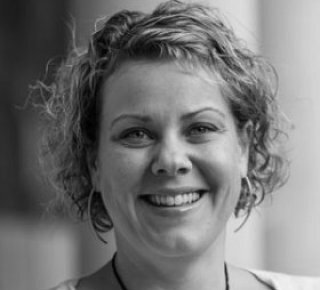 Dorine Greshof, Thesis Committee, (ISHSS) University of Amsterdam: Dorine Greshof is a research associate in the Department of Sociology, specializing in urban studies. Her publications deal with urban poverty and homelessness.
. Beth Haidle, Illustrator, Illuminative Method, Beth Haidle is an illustrator originally from Portland and now based in New Mexico. She loves commissions, collaborative work of many sorts & group gallery exhibits with themes. She works in a wide array of illustrative contexts: children’s books, cookbooks, magazines, album art, comics, etc…some of her clients include Sony Music, Harvard Business Review, John Hopkins University, Pig Iron Theatre Company. She also puts out a Comicosmos, a non-fiction mini-comic, distributed to subscribers & a few select bookstores. See Minutiae Laboratories, ehaidle.com, Mind Afire: A Graphic Novel Biography of Nikola Tesla. Kali Haines, Research Lead, The Relaxation Day, Illuminative Method: Kali is currently a Human Resource Recruiter for the Target Corporation in Minneapolis. DJ KIK/Enrique Villacis, Instructor, Philly DJ Workshop, Never searching for the ancestors, but always searching what the ancestors searched for. Born, raised and inspired by Latin America, KIKs art transcends boundaries. Ecuadorian architect, musician, photographer, Enrique (KIK) Villacis Tapia is the conscience of a citizen of the world with a strong South American identity. KIK is the leader of runka an Ecuadorian multidisciplinary team of artists that produce mixed media art since 1997. Dj since 2000 producing mix sets, remixes and original tracks based on South America’s traditional art. His mix sets always challenge the audience by exposing them to unexpected sounds. Currently living and performing in Quito Equador. Susan Quakkelaar, Advisor, Relaxation Day/Web Developer, Yoga Think Tank: Susan Quakkelaar graduated with a Bachelor of Science in Visualization from the Minneapolis College of Art and Design in 2003. She is an Interactive Project Lead consultant based in Minneapolis. Susan divides her time between work, volunteer opportunities, freelance website design and consulting, and spending time with friends. Brad Randall, Designer, The Privacy Shield, Getting a Creative Idea to Work: Brad Randall is a graduate of the Minneapolis College for Art and Design. He was the lead designer for Forest, Fields and the Falls, an online resource for the Minnesota Historical Society, and Train of Thoughts: Designing the Effective Web Experience. He also is the owner of Brandall Design Co.
Lester Shen, Former Associate Dean, Visualization Program, Minneapolis College of Art and Design: Lester Shen was the Former Associate Dean of the BS and Post-Baccalaureate program in Visualization at the Minneapolis College of Art and Design. He has his Ph.D. from the University of Minnesota and MSME at the Georgia Institute of Technology. He is currently the Director of Innovation Technologies at the Center for Energy and Environment. Henk Sligte, Thesis Committee, (ISHSS) University of Amsterdam: Henk Sligte is a senior researcher at the SCO-Kohnstamm Instituut. The SCO-Kohnstamm Instituut is one of the top-ranking research and reference centres in Europe specializing in commissioned research on education, child rearing, and child welfare. The Institute operates independently in the market for research and consultancy projects and, as an institute within the Faculty of Social and Behavioural Sciences, is part of the Universiteit van Amsterdam (UvA). Saint Paul, Yoga is Instrumental, Music Producer: A pioneer in digital and online music creation, St Paul is a music producer, music educator, and consultant. He’s collaborated with artists from all genres of music, from every continent (except for Antartica). St Paul has been an Indaba member since early 2009. Since then, he’s established a strong base of artists and producers that assist in the creation of his international mix-tape series. On the educational side, St Paul facilitates hip-hop production workshops and is a music educator in the Philadelphia region. His music has become the inspirational soundtrack for many young and aspiring artists. 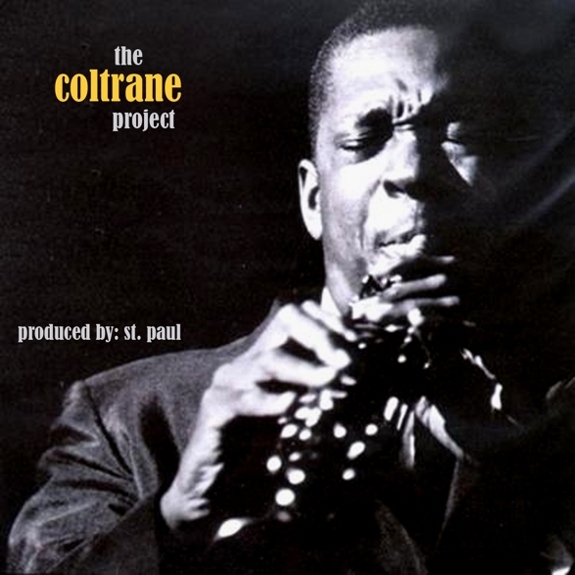 See Paper Cha$erz: Art of the Collab, The Coltrane Project. Spectac aka Mervin Jenkins, Yoga is Instrumental: Mervin Jenkins is the Assistant Director for the AVID Eastern Division based in Atlanta, GA. In this role, he serves school districts, with the AVID program, throughout the Eastern region. Before that Mervin was Principal at Horton Middle School in the Chatham County School System located in Pittsboro, NC. After only one year in his position as Principal at Horton Middle School, Jenkins was voted the 2007-2008 Chatham County Principal of the Year. Under the stage name Spectac, Jenkins has recorded with 9th Wonder (NC producer – Jay-Z, Destiny’s Child, Pete Rock) his debut album Spectac, Starring in Superman for Life. 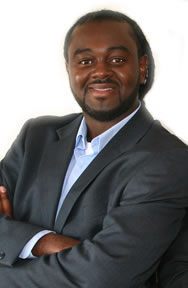 Jenkins is the founder of Principals of Edutainment, a lecture-performance program that provides today’s youth, in both public and private institutions, the opportunity to hear how he overcame the negative influences of drugs, alcohol, and the numerous other temptations often associated with peer pressure. See Spectac & Amiri–Soul Beautiful, Spectac and Shakim–For the People. DJ Wicked aka Shah Hilali, Music Coordinator, The Relaxation Day: DJ Wicked resides in the Twin Cities and regularly spins London style Jazz-Funk Boogie & Acid Jazz around Minneapolis. Tieg, Photographer, Stylist, Event Host, Relaxation Day: Tieg formally owned Blue Management, a modeling company in Minneapolis, Minnesota. 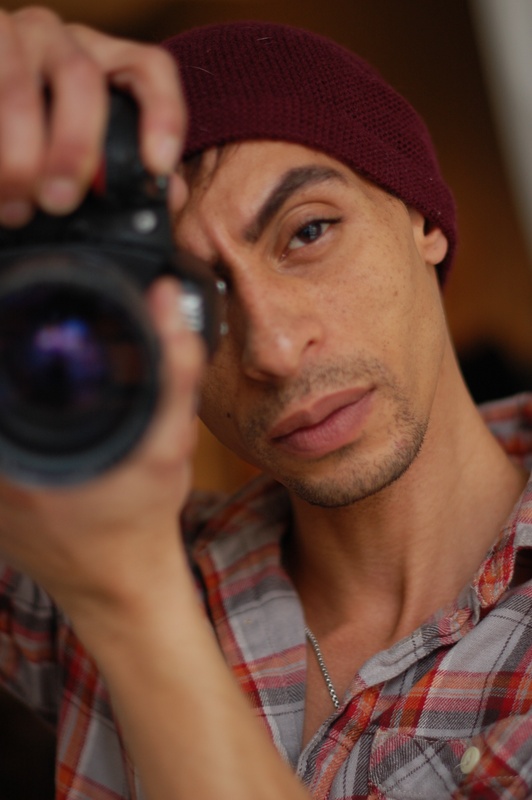 He is currently a fashion photographer and pursuing writing in Los Angeles, California. Joyce Germaine Watts, Doctoral Committee, Fielding Graduate University/Faculty, Critical Pedagogy in Second Life: Joyce Germaine Watts is on the faculty of the School of Educational Leadership and Change at Fielding Graduate University, headquartered in Santa Barbara, California. As a facilitator of learning and a mentor, she assists doctoral students throughout the U.S. to complete a rigorous, interdisciplinary, collaborative program that prepares them to implement effective research and practice for meaningful change where they live and work. Dr. Watts engages with colleagues in creating a student-centered learning community for mid-career professionals who become effective scholar-practitioners and transformative leaders working for social justice. Kimberley Williams, Research Lead, Yoga Think Tank/Co-Collaborator, Donor Coordinator, Focus on Yoga, The Relaxation Day, Illuminative Method: Kimberley Williams is a producer in Target Corporation’s Advertising department. She has done project coordination/event planning and loves to function as the ‘go to’ person and keep things flowing. Mara Yerkes, Research Advisor, The Illuminative Method: Mara Yerkes is Senior Research Fellow at the Institute for Social Science Research. Her research interests include combining work and care, comparative welfare state research, comparative social policy, employment, industrial relations and the employment relationship, the sociology of gender and sexuality, and social inequality. Prior to coming to the ISSR, Yerkes worked as a Postdoctoral Research Fellow in Sociology at the Erasmus University in Rotterdam, the Netherlands. She is the author of Transforming the Dutch Welfare State: Social Risks and Corporatist Reform (the Policy Press) and co-editor of The Transformation of Solidarity. Changing Risks and the Future of the Welfare State (Amsterdam University Press). The Illuminative Model for Networked Learning addresses current shifts happening in learning and education as societies move between a 20th-century factory model into a 21st-century networked model. Please see the Factory vs. Networked Learning chart for more information on the differences between the two approaches. This model combines elements found in user research and design or “design thinking”, critical thinking reflective questions, and strength-based learning approaches. 4) first aligns themselves to their strengths and skills and to any engaged moments they experience day to day. The Illuminative Method is central to this model and in guiding learners through designing their own resonant systems for learning. Please see the following for further information about this method. Please do not cite or distribute without the author’s permission.